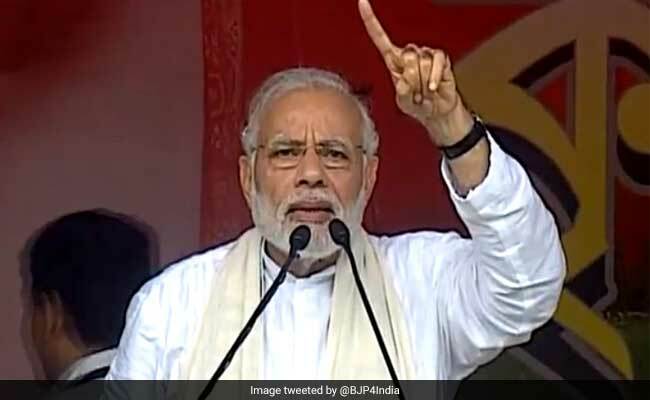 PM Modi attacked Mamata Banerjee's government saying nothing works in West Bengal without syndicates. 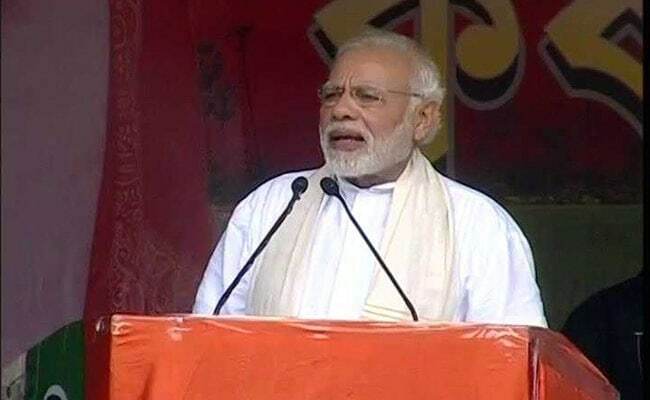 Prime Minister Narendra Modi today addressed a rally in West Bengal's Midnapore as part of his farmer outreach ahead of the 2019 General Elections. 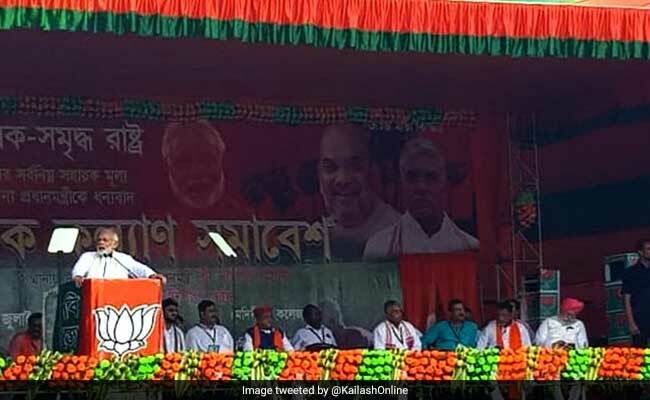 The rally, held on the Midnapore College grounds, was the prime minister's first visit to the state this year. Among other issues, PM Modi spoke about the centre's decision to increase the minimum support price of 14 kharif crops for the 2018-19 marketing season. 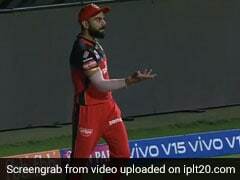 He also hit out at the Mamata Banerjee-led state government saying it wasn't doing enough to address the farmers' issues. The Trinamool Congress has said in a statement that the organisers of the rally must take responsibility for the accident. "We are deeply concerned about those who were injured at the rally. We pray for their early recovery. All assistance and help will be provided to the injured. The organisers of this rally must take responsibility for this lapse," read the press statement. 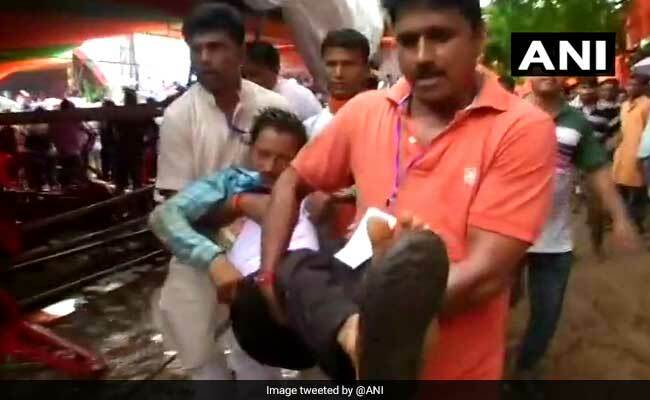 At least 44 people got injured at PM Modi's rally in West Bengal, as a canopy collapsed at the venue. After the rally, PM Modi visited the injured at hospitals. 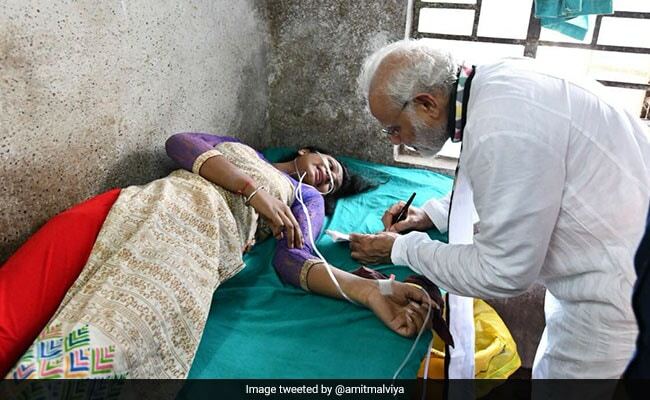 A picture shared by Mr Malviya show one of the injured women asking the prime minister for an autograph while lying on the hospital bed. "Look at the adulation for PM Modi. The lady meets first in the hospital asks PM for an autograph while hardly being able to speak. 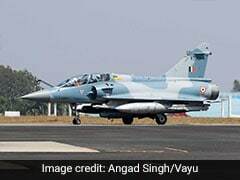 Needless to say, PM happily obliged," Mr Malviya tweeted. The injured were taken to hospital on motorcycles and even by the ambulance that follows the Prime Minister's convoy. Many of the injured are believed to be women. 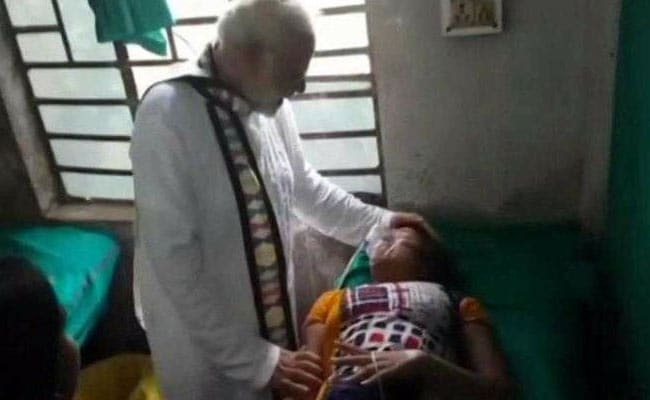 PM Narendra Modi later visited the injured in hospital after a canopy collapsed while he was addressing a rally at West Bengal's Midnapore. 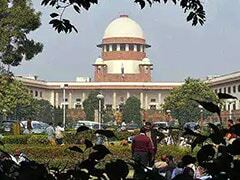 "I hope the West Bengal government will take steps to help farmers. Our farmer should use technology...Farmers don't get benefits, youngsters don't get jobs. This is the reality of West Bengal. 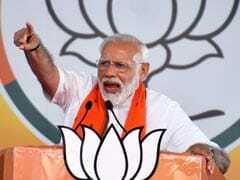 Bengali people know now the reality of syndicate of loot and killing their opponent's supporters, syndicate to keep their government in power," PM Modi said. "Our government has taken a decision to empower West Bengal farmers...State government did not do anything. The country is going through period of change, Dalits, Adivasis want to take the country forward," PM said. "Our government will give more 1.5 times more MSP to farmers -- Increased MSP on jute, corns. Earlier Jute price used to be less. 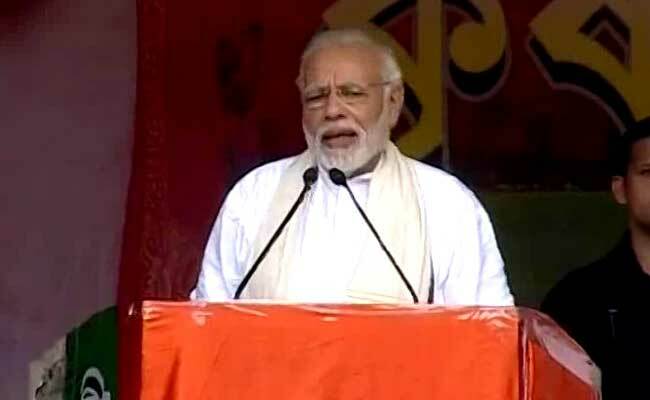 We increased it, this decision helped farmers in West Bengal" the prime minister said. "I am grateful to Mamata Banerjee. She has put up so many flags to welcome," PM Modi said.